Patience is a virtue, or so they say. For even the most virtuous people, patience can wear thin if given enough time. Rick “The Gladiator” Glenn was starting to wonder if his patience was going to go away completely. Since 2006, Glenn has been blazing a pretty amazing trail in MMA. 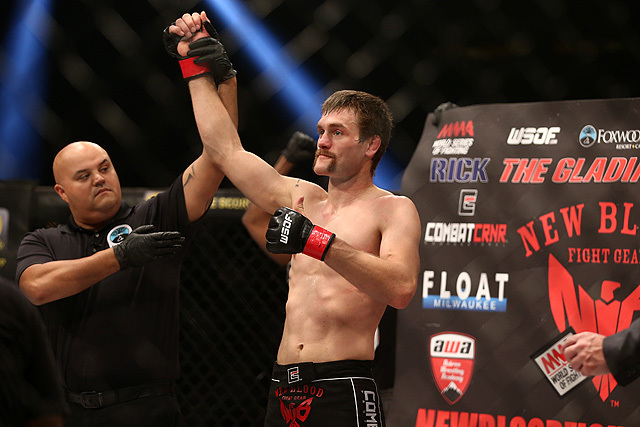 With 10 knockouts, five submissions, a World Series of Fighting featherweight title, and only one stoppage loss in his last 20-plus fights, the Iowa native has had one hell of an impressive career. However, he has always had one primary goal: a spot in the big show. Getting a chance in the UFC can require a lot of patience and a little bit of luck. In the last year, Glenn has had a little bit of both. 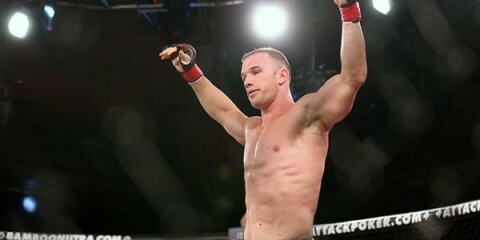 After losing his WSOF title to Lance Palmer in December 2014, Glenn went on a tear, knocking out two opponents before taking a split decision win over fellow Midwestern veteran Ramiro Hernandez last June. A few months later, he got that little spark of much-needed luck. At UFC Fight Night 94 in September, longtime vet Evan Dunham was set to face Abel Trujillo in a lightweight showdown. 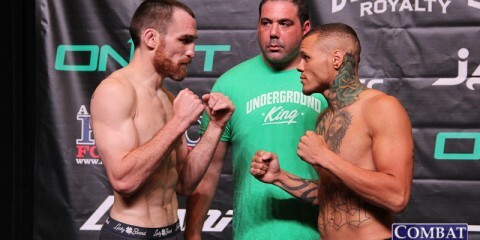 However, just 12 days before the fight, Trujillo had to pull out. The UFC needed a replacement. “It was a shock,” Glenn told Combat Press. “I was kind of starting to lose hope, but I knew I was right there. I was starting to doubt it, and I wasn’t going to be surprised if it didn’t happen this year. When I got the call, I was shocked and super excited. Glenn showed up 10 pounds heavier than he was used to. Even though he lost the fight, he went three rounds with a Brazilian Jiu-Jitsu black belt who has fought a who’s who of UFC lightweights. 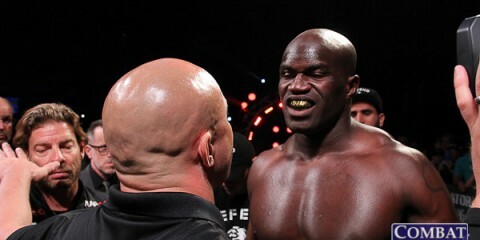 It was such an impressive performance that it earned “Fight of the Night” accolades and a $50,000 bonus for both guys. Glenn’s patience had finally paid off. As the fight approached, Glenn was working full-time as a back-up supervisor in the tire department of Costco. He was not training full-time, and his conditioning had gone by the wayside. However, he had incorporated a new diet which allowed him to keep his weight down. The term “vegan Midwesterner” sounds like an oxymoron, especially for a guy that grew up around hog farmers in Iowa. However, the 12-day cut to 155 pounds was extremely easy. Glenn had been walking around at 160 anyway. 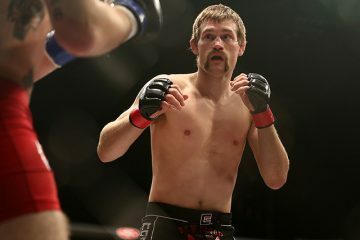 While Glenn signed with the UFC as a lightweight, his aspiration is to keep blazing his trail as a featherweight. “I know the featherweight division was pretty full,” Glenn said. “A lot of guys get into featherweight from 155 and are coming down for short-notice stuff. I think they’re going to make some room for me after my performance. I think they’re going to want me back at whatever weight class. A few months after his battle with Dunham, that dream has finally come true. In December, it was announced that Glenn will face former The Ultimate Fighter finalist Phillipe Nover at UFC 208 on Feb. 11. Nover, like many of Glenn’s previous opponents, is a seasoned vet. 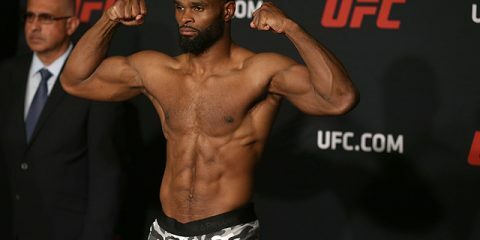 Since his time on TUF, he has fought across multiple promotions, including a 2-1 run in Bellator and a reign as the Ring of Combat lightweight champ, before re-entering the UFC as a featherweight. Nover is currently on a bit of a skid, having lost his last two fights, so he is exactly the type of mid-tier opponent that Glenn was looking to fight. 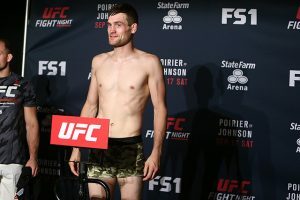 The Iowan, who trains out of Pura Vida MMA and 360 Jiu-Jitsu in Milwaukee, matches up well against the native New Yorker Nover, who trains out of his hometown of Brooklyn. Glenn has a three-inch height advantage, a six-inch reach advantage, and he is a finisher, while most of Nover’s fights go the distance. Nover is tough as nails, as he has displayed in his multitude of three-round bouts, but Glenn is tenacious in his quest for a stoppage. The longer an opponent gives him to press the action, the more likely Glenn is to finish the fight. He knows exactly what happened in his last fight, and he has no intention of letting that happen again. At UFC 208, Glenn will be back at featherweight. He will have a tremendous size advantage, and, with his new diet, the cut should be quite easy. He plans on impressing the UFC brass and continuing his quest to the top 10. 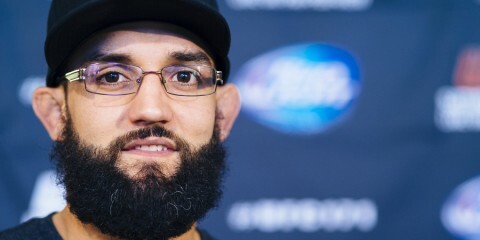 If all goes as planned, he will eventually retire as a dominant UFC featherweight champ. Patience is a virtue, and Glenn’s enjoying the pay off now.